No all companies are created the same, think long-term, do it right and make it happen! 2017/12/23 - Technology allows full trace, we work closely with fish watch and marine traffic to allow more transparent information to our consumers where the vessel is fishing. We have gain full MSC for Da Yang Seafood and LS Pacific PNG but that is not enough, we have to tell more, we all know fishing is not easy but having a good resources starts from good conversations policy. Together with Marinetraffic and Global Fishing Watch technology allow us to see from the fishing ground and shipping process then finally to the sales market - Food Safety and sustainability is a mission of our group. 2017/11/09 - Kaohsiung, Taiwan - We are proud to show this video on how to refresh our fresh superfrozen tuna. Sea Salt has been a natural preserve for food on human history, we continue to believe that fish clean in sea salt water will have a better taste and flavor. Please check out this video and try it at home with our superfrozen tuna. Super Fresh and Fresh Superfrozen Tuna. Quality is our passion! 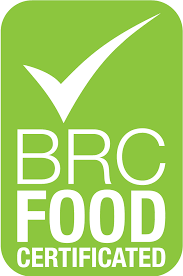 2017/10/01 - Astoria, USA - We are proud to announce that Da Yang Seafood Inc, which produce shrimp, crab and fish facility has been approved with BRC, once of the highest standards for Food Safety. Since 2005, this facility also has been approved with MSC chain of custody. This plant current export to more than 60 different ports and it will use its BRC to export to UK and some of the finest retailers in USA. 2017/5/01 - Korsae, FSM - FSM is one of the members of PNA nations in the South Pacific and our dedication to COC and sustainable practice, our Super Seiner Pacific Journey 888 are loading containers in Korsae to support on-shore jobs and opportunities, where as in the past much is being done by carrier. Our vessel has EU approved number and MSC certifications. We are working with PNA to have our all our final facility approved with COC. Every job created at sea is equal to 5 jobs created on shore, we are proud to be part of this process and continue to show support to our fishing nations, traceability, accountabilities and fair job opportunities. All offloads are 100% covered by observers and 100% at seas observers. We will also reduce by almsot 50% Co2 emission by avoiding carrier and direct shipment to the needs of the canneries. 2016/5/01 - Astoria, OR - We have completed our remodel of the plant and repair of the dock in Astoria. In addition, we acquired additional space from Port of Astoria (USA) previously known as Westbay Seafood (united coast), the facility has been outdated and developing our communities while investing in the most sustainable fisheries in the Westcoast: MSC Shrimp, Hake, Sardine/Anchovy, Mackerel, Dungeness Crab and Albacore Tuna. 2016/01/01 - Astoria, OR - Our new shrimp peeling plant finally in action, this most advance plant will focus on food safety thru BRC standards and making the best taste shrimp right from the dock. This plant will service 10-12 shrimp fishermen and be able to produce up to 100,000lbs of shrimp per shift.